Want free tools? We have some for you! Feeling check-ins are a powerful way for students to learn how to identify and express feelings. The Feel & Deal faces, designed in consultation with a world-renowned facial expressions expert, realistically depict 16 emotions. 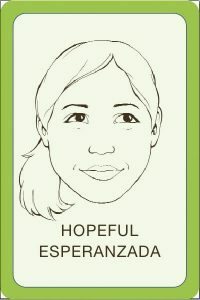 The Feel & Deal Activity Deck includes facial expression cards (in color), with Spanish and English feeling words, and over 35 engaging activities to help students build their emotional intelligence. Purchase HERE. Interested in teaching your 4th-12th graders upstander skills through video examples, discussion topics and role-playing? Download Be an Upstander. Interested in practicing more kindness, and helping your students do the same? Download our 21 Kindness Tips. Want your students to get to know one another better? Try these 5 Minute Partner Conversation starters. Want to learn the advantages of dialogue over debate? View the webinar on civil discourse. Curious about how to implement social-emotional learning without sacrificing academic time? Here are 3 tips for getting started with SEL in the classroom. Looking for ways to help your students develop empathy? Try these ideas. Interested in addressing stereotyping and microaggressions at school? See these tips. More FREE resources coming soon! If you’re looking for a particular kind of resource, please contact Christa at PeacePraxis.